DAY ONE: Select either medical billing or dental insurance and spend the day with the speaker. DAY TWO: Continue the specialized workshops and then engage in a blended session to learn from each other. Our session will walk you through the most important skills needed to manage your insurance process. From problematic EOBs to appeals and denials, you’ll learn how to set up systems to catch problems before they snowball. We’ll also go over the most common coding issues and worries. Scripts for insurance minded patients will also be reviewed. Insurance is an important part of your office’s revenue cycle, but it does not need to overwhelm your daily routine! 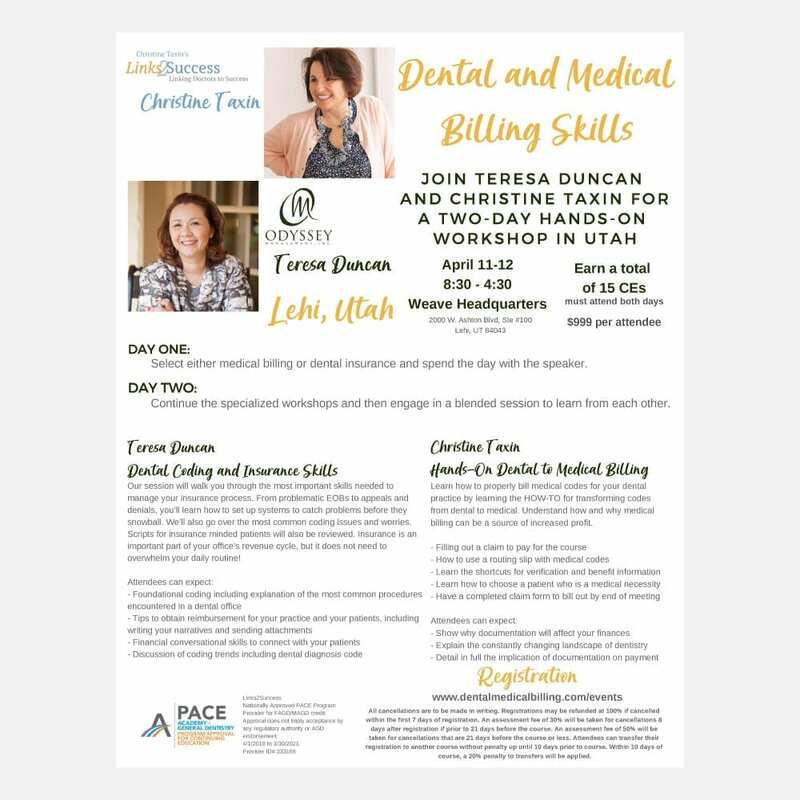 Learn how to properly bill medical codes for your dental practice by learning the HOW-TO for transforming codes from dental to medical. Understand how and why medical billing can be a source of increased profit.